Cardinal Power | Tennessee Aircraft Services, Inc. It ‘s very unique for an airframe or engine manufacturer to develop a supplement to their own FAA Type Certificate. Apparently, some Lycoming employees thought the Cessna Cardinal RG was in need of some extra power and they just happened to have an ideal engine for the job. How convenient Textron owns both the airframe and the engine manufacturer. 2002 the XIO-390 was being marketed to the experiment market. It has the same footprint as the IO-360 series engine, including a forward facing fuel servo, and weights almost exactly the same. This made it a natural choice for those builders wanting more umph without redesigning everything firewall forward. Wouldn’t you know owners of certificated airplanes are just like owners of experimental airplanes, more power with minimal alterations. While it looks similar and bolts into the same mounts, it is not the same engine. The nose bearing section is stronger, it has roller cam followers, better tuned induction, and cylinders designed specifically for this engine. Back in the day, engines were certified to rather loose horse power tolerances. The 200 horse power IO-360 could be 5% under the 200 horse power rating and still be called 200 horse power. The new IO-390 is certified under new rules allowing 0 % under and 5% over the listed horse power rating. This is a very strong 210 meaning it will put out a minimum of 210 and may put out a bit more. Since Textron owns Cessna, it was logical the first in a line of airframes to be modified would be a Cessna. 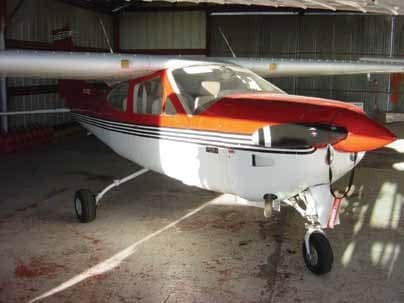 The 177RG is the only Cessna originally equipped with the angle valve 200 horse IO-360 so it was the only choice in the Cessna stable. Aiding the airframe choice is the brand loyalty of the typical 177RG owner. They typically keep their airplanes for many years and average about 100 hours per year flight time. Like all of us, they are looking for more power but the Cardinal RG is in legitimate need. Not that the Cardinal RG is the first choice as a trainer but the added horse power turns the RG into an excellent candidate for high performance/complex commercial trainer and check ride plane. A good amount of time was invested making this engine as “plug and play” as possible for the RG. The engine controls, alternator, starter, exhaust, fuel lines, engine mount, and original 2 blade propeller are all reusable. Even the original cowling is used with no needed modifications. Late in the the certification process it was discovered the 1971 and 1972 year model planes had some cooling issues due to the cowling design so they are excluded in the STC. The most noticeable performance gain will likely be the extra 130 feet per minute climb rate. I suspect shorter take off rolls and extra 130 feet per minute climb rate will be the most noticeable performance gains. Extra horse power doesn’t impact cruise speed to the same extent but an increase of 3 to 4 knots is very welcome. The package with a new Textron IO-390-A1A6 is Cessna part number 05J26325 and includes the new engine, Unison SS1001 Slick Start Booster, fuel flow placard and complete kit instructions. The list price is $48, 032.68 . You will also need a governor p/n D20893-2, governor bracket p/n 1750027-3, oil cooler p/n 10877A, oil supply hose p/n AE3663161H0303, oil return hose p/n AE3663161H0290, oil pressure gauge hose p/n AE3663819B0350, and a few other peripheral items that add up to another $4994.89. Total list price comes to $53,027.57 plus shipping. You might expect to pay around $49,000.00 on the street (runway). You can option for a Textron factory overhauled engine in kit p/n 05J26326 for $35,222.50 plus the same added items at $4994.89. The total adds up to $40,217.39 plus shipping. It may be one could acquire some of the added items from other suppliers for less. Street price in the $38,000.00 neighborhood. 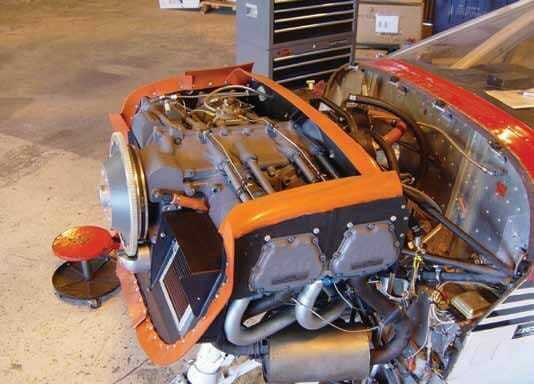 Labor to make the full installation should be very close to a standard engine change. A little more paperwork and some time going through the small details of the installation manual may add a bit. Textron calculates a new engine in a Cardinal RG adds 10% or better to the planes value. They also believe the added horse power upgrade could increase your planes value by an additional 10% to 15%. Textron believe possible aircraft total value upswing in the 20%-30% range. The real value numbers are yet to be seen, but a factory sponsored STC should enjoy a stronger financial response than a small after market company modification. The future tech support should be exceptional and long lived as well. The FAA paperwork was finally completed near the end of May and Cessna made the kits available beginning June 1st. The STC kit may only be purchased through a Cessna Single Engine Service Station under the parts numbers listed earlier. The peripheral items are standard after market parts and may be procured from Cessna or most any aviation parts houses. Marketing the STC exclusively through the Cessna Service Station system is a convenient, if not blatant attempt to get you to visit a local Cessna Service Station. I don’t mean that in a bad way at all. Cessna puts an enormous effort to ensure their representative repair facilities are properly equipped, trained, and professional. Not a small task when you have 300 or so facilities to watch over just in the United States. Those of you under jurisdiction of other governments haven’t been forgotten. The folks at Textron are working on certification in other countries and hope to have those happening in the not too distant future. The way Textron has put this package together makes it an obvious choice when it comes time to remove your tired IO-360 for overhaul. For just a few dollars more, you can have a stronger more refined “big bore four.” You’re probably reaching for your wallet already, but lets think through the timing first. You could get the upgrade with your current engine in mid life and enjoy the benefits of the new engine now or, you could be sensible and wait till your engine is ready for overhaul. Think about it, you own an airplane, why start being sensible now?